Singing the standards on Shadows in the Night, Bob Dylan employs his own flaws to beautiful effect. And now it’s Bob Dylan’s turn to try singing the standards, fulfilling what is practically a rite of obligation for veteran singers of the rock era. For his thirty-sixth studio album since 1962, Dylan has released Shadows in the Night, a collection of ten songs associated with Frank Sinatra and other interpretive vocalists of the pre-rock period. With this project, Dylan joins the company of not only Sinatra, Louis Armstrong, Billie Holiday, Ella Fitzgerald and their contemporaries, but also James Brown, Sam Cooke, Merle Haggard, Willie Nelson, Linda Ronstadt, Harry Nilsson, Joni Mitchell, Paul McCartney, Rod Stewart, Chaka Khan, Cyndi Lauper, Gloria Estefan and Annie Lennox, among other singers who turned to the Great American Songbook after making their reputations in rock, country, soul, funk, folk and contemporary pop. The fact that so many artists successful in other styles of music have taken up the standards tells us something about the songs. But what it says is not simply that the standards are better, because they’re not. They’re different. Of course, the words and music crafted by Irving Berlin, Jerome Kern, Dorothy Fields, Cole Porter, Rodgers and Hart (and Hammerstein), Harold Arlen, and their peers are musically sophisticated, melodic and lyrically subtle and meticulous. But those aren’t the only values that make songs great. As James Brown knew well, rhythmic intricacy and dynamic energy are also qualities of greatness. As Merle Haggard understood, there can be art in plain speaking and the minute variations possible within one key and three chords. And as Bob Dylan certainly knows better than most songwriters, there are wonders to be found in free allusiveness, ambiguity, unpredictability, unabashed weirdness and other aesthetic attributes that the master craftspeople of Tin Pan Alley rejected as unprofessional. The standards are indisputably brilliant, and I love them. Their brilliance doesn’t wholly explain their durability, however. They endure largely because they’re adaptable, singable by singers of any orientation in any era, and they’re adaptable because they were crafted specifically for that purpose—designed to communicate sentiments anyone could relate to, in words and music that anyone could grasp. 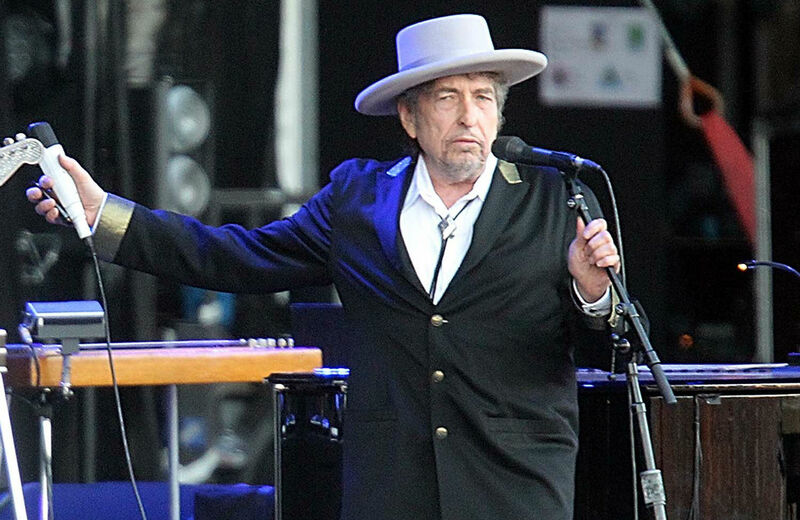 Singers like Bob Dylan are still performing songs like “Some Enchanted Evening” not because they’re better than the songs Dylan himself has written, but because they’re more communicable. To say that “Some Enchanted Evening” is superior to “Subterranean Homesick Blues” because more people have recorded it and more people can sing it or relate to it would be like saying that a schooner is better than an SUV because it floats. No—it floats, like a standard speaks clearly and potently to people of every sort in every era, because that’s what it was built to do. “Subterranean Homesick Blues” was made to do different things: to baffle and thrill on its own wholly individualistic, idiosyncratic terms. It would be unreasonable to expect to hear as much in Dylan’s singing on Shadows in the Night. Sinatra, at his best at the time he recorded “Ebb Tide,” in 1958, had masterly vocal technique and gorgeous tone as well as interpretive sensitivity. Dylan comes to the standards with less technical capacity but deep feeling and palpable commitment to the material. His voice, notoriously gnarled and acidic, has grown craggier and weakened with age. Still, it remains fairly limber, and Dylan employs all its flaws here for dramatic effect, letting his voice crack or strain to find a note. Many of the selections on the album are musically and lyrically wistful, songs of regret or lost love such as “Autumn Leaves,” “The Night We Called It a Day” and “What’ll I Do,” and the wishful failings of Dylan’s singing make them all the more poignant. If God and the universe, everything, is not always present in this singing, death surely hovers. The arrangements, for a small string band (augmented here and there with French horn and trumpet) are simple and understated settings that nod to Western swing. Instrumentally, the album is, to my taste, a bit too tepid and schmaltzy at points. But the music is never less than pleasing, and Dylan carries the production through the earnest yearning of his fragile old voice. Shadows in the Night is an album of flawed but oddly beautiful singing, and humble artistry with which its singer employs his own flaws is the source of its beauty.